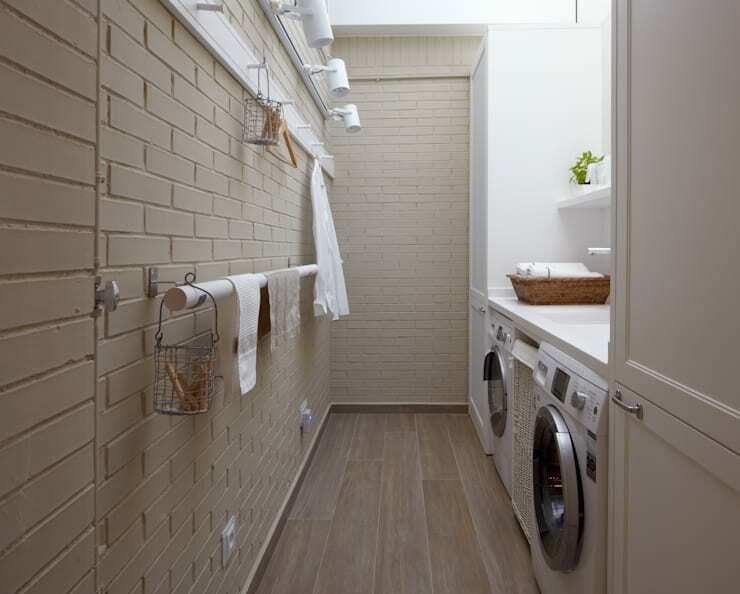 The laundry area may be one of the most neglected rooms in the house when it comes to decor, but the 10 examples we look at today showcases just how modern and sophisticated a laundry room can be with minimal effort, allowing the rest of your home to be neat, tidy and well-maintained. 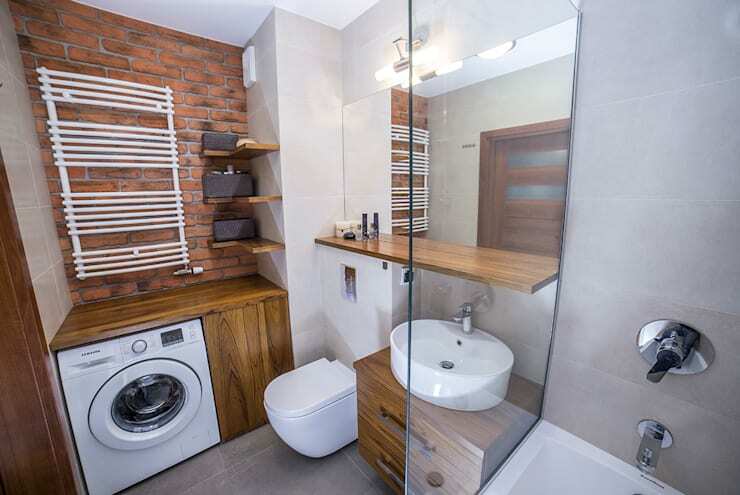 Our team of professionals considered a contemporary homeowner that may have a small home, which means the laundry area is incorporated into the kitchen or bathroom. 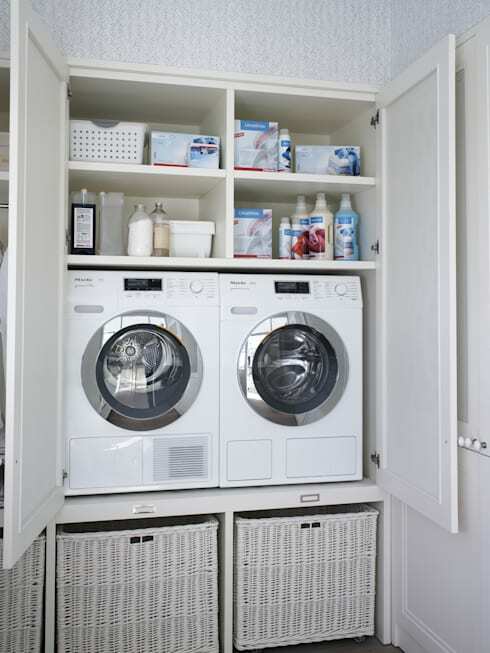 So, if you're looking for ways to upgrade the laundry area, then you may pick up some helpful hints in this feature. 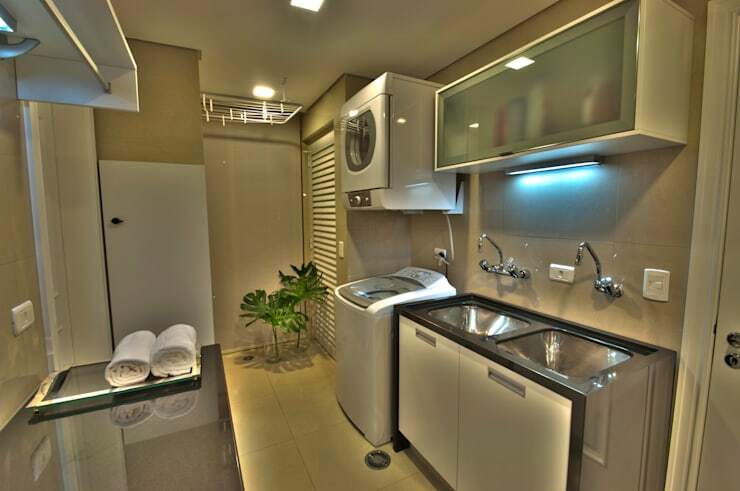 Include sleek large sinks in your laundry to wash delicate items by hand or even shoes. 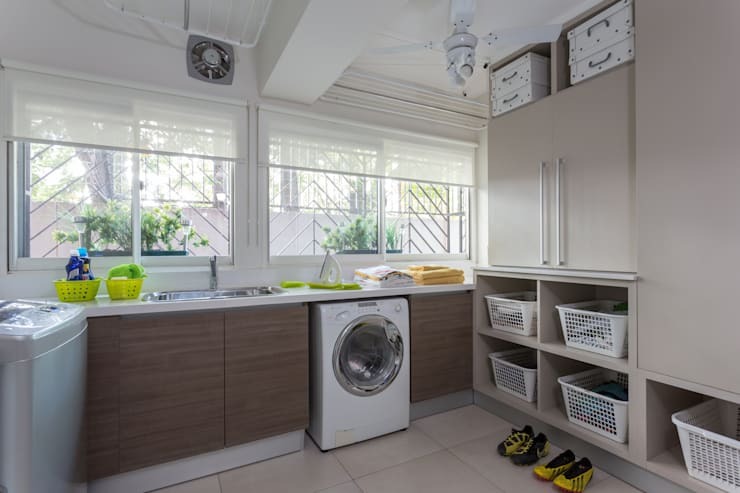 Cabinets can easily store clothing that needs to be placed into your closet after being ironed and baskets are handy for socks and underwear that have already been separated. Mold and mildew is normal in a laundry, so line your walls with moisture resistant paint and opt for a neutral wall colour for an always trendy decor. 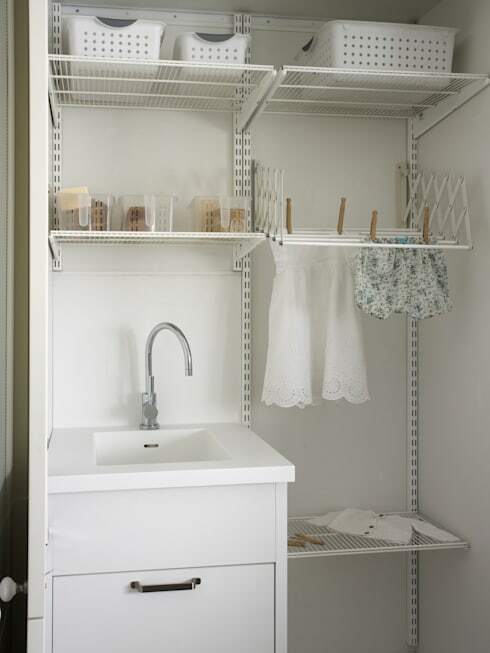 Ensure that your laundry zone is perfectly organised with some dynamic shelving for all your necessities. 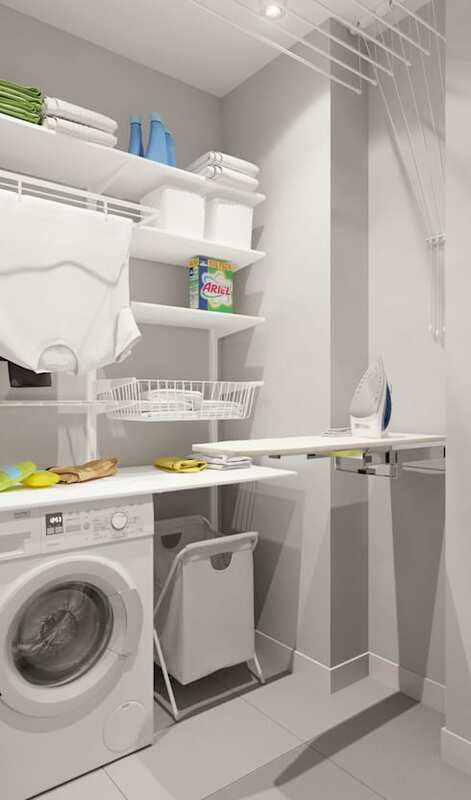 If your laundry accessories are your kitchen, then hide the appliances in its own compartment or closet and you won't even notice that the machines are there. Anchor your ironing table to the wall and you'll always have a designated space to iron your items. This is not only great for ensuring that your towels are warm and welcoming, but a heated towel rail can dry light clothes quite quickly too. Dry your small items inside from the rack, so they don't get damaged by the sun. This is great for clothes that cannot be tumble dried. 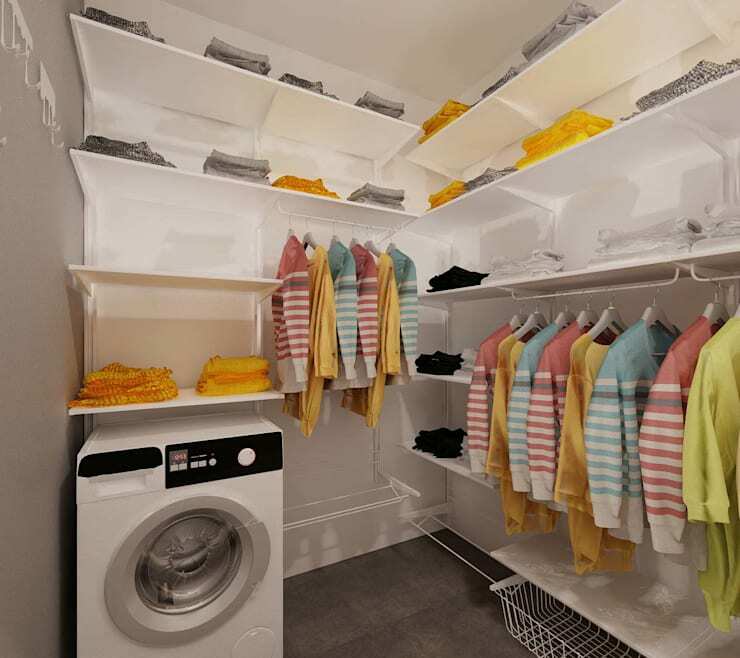 Maintain order in your home with more than enough storage in your laundry. 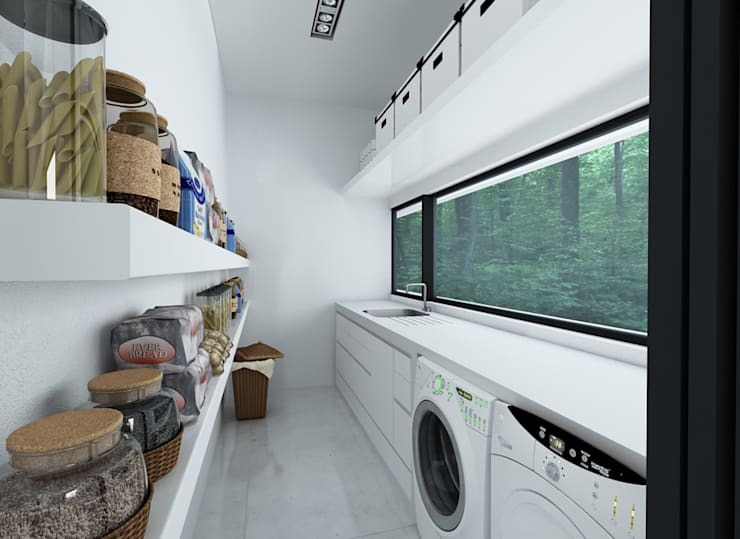 What will your ideal laundry include?